Timeless and Classic: No two words could more perfectly describe these statement stud earrings. 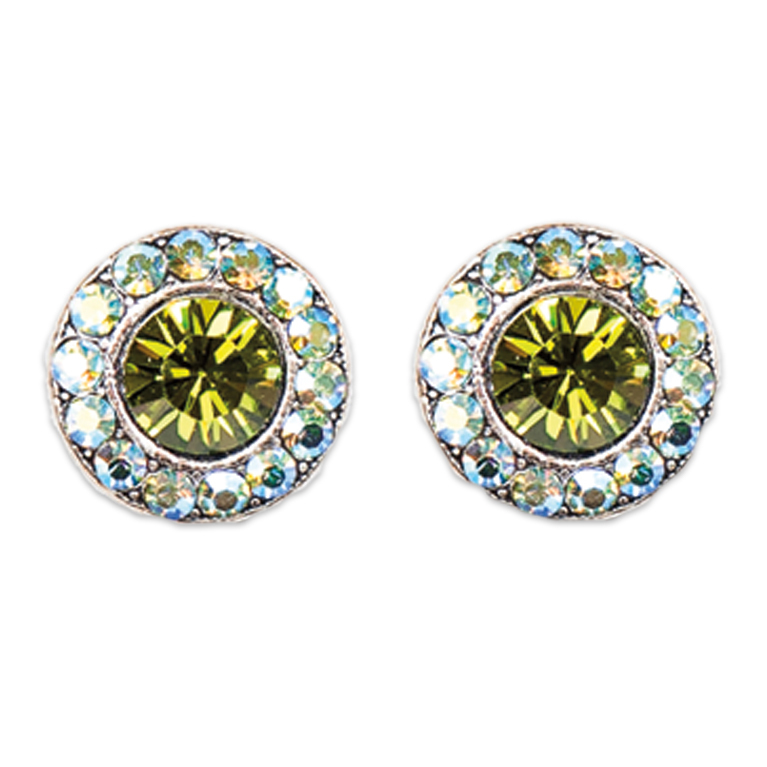 With fourteen hand-set Peridot AB Coated Swarovski® Crystals surrounding a single, large Olivine Swarovski® stone, this pair of earrings is fit for every occasion. Measuring ½ inch in diameter, these sterling silver plated studs are just the right size to add the perfect amount of sparkle to any style. Both elegant and chic, your wardrobe is not complete without them.